Q and I desperately needed some time away. After a tough summer, we decided just after Labor Day weekend to go away for the long weekend in October. 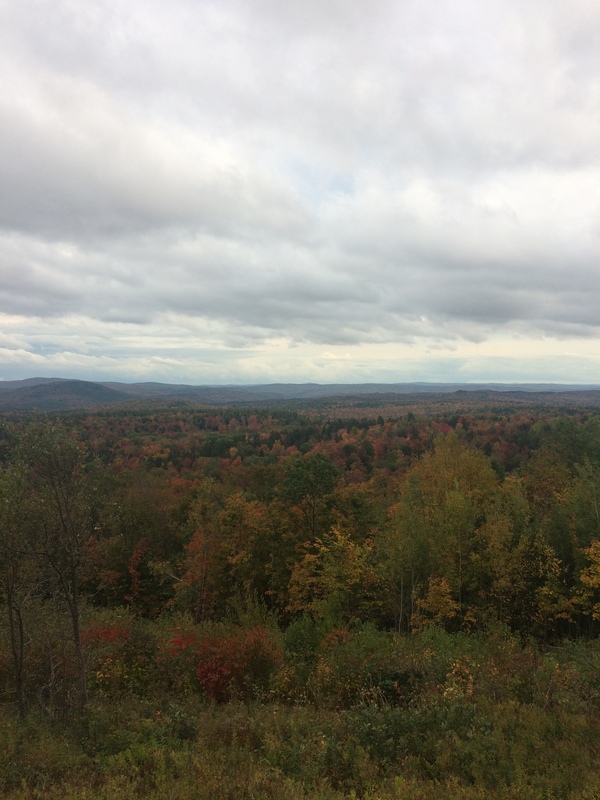 We chose Southern Vermont because it wouldn’t be too long of a drive and would be a nice change of scenery. Honestly, I wanted so badly to get out of our rut, I would have taken a night away at a Holiday Inn off the highway somewhere. 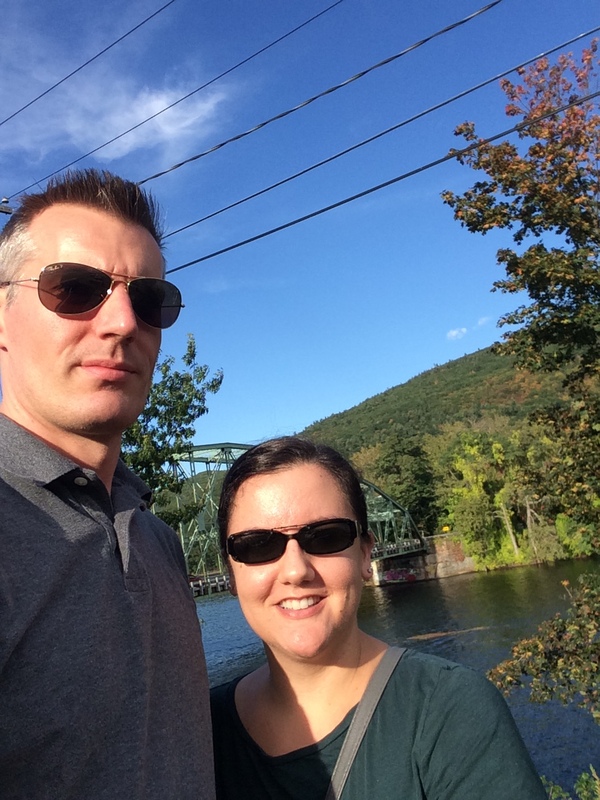 We stayed in Brattleboro, Vermont– it’s just under a 3 hour drive from our house and we both had been there in our younger years and liked the place. It also was well-situated for short car rides to other spots that had things to do too. 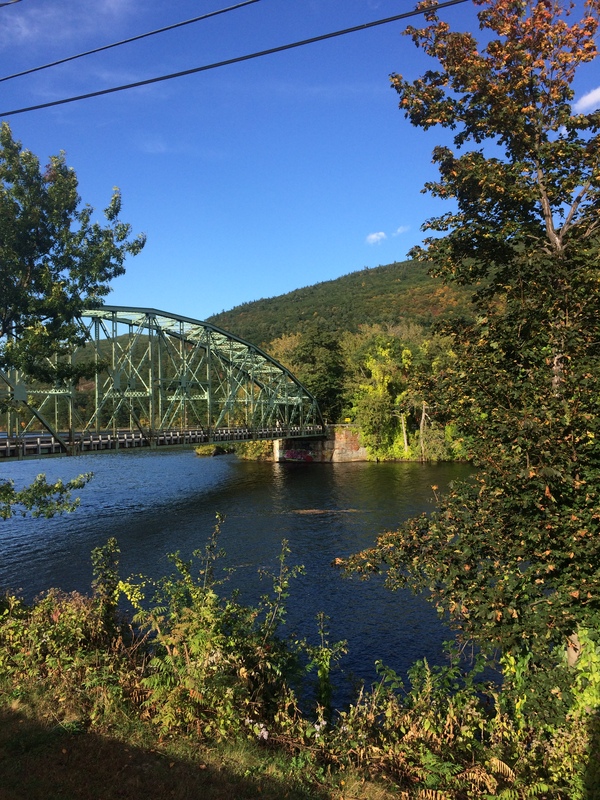 Downtown Brattleboro is a small New England city, but has some great food and beer spots, and a very active arts scene. Since it was the long weekend, there were a lot of people around and all the restaurants were packed. Our weekend was spent, as most vacations are, eating and drinking. We really enjoyed the Whetstone Station Brewery, Saxon River Distillery, and Grafton Village Cheese Company. We stayed at the Latchis Hotel, which is right in downtown Brattleboro, which made it great for walking around and going to various spots without either of us worrying about how much we were drinking ( which, isn’t a lot anyway, but always nice to not have to think about driving and how many beers one of us can have). It rained most of the time, which happened when we went to Maine a few years ago on Columbus Day weekend too, so at least we’re consistent! We ended up driving into New Hampshire on the rainy day to see Keene, which is near where I went to college, so it was a nice little trip down memory lane for me. We ended up at one of my favorite bookstores, Toadstool Books, which I spent many hours in over my 4 years of college. The foliage was just short of peak, so lots of muted colors and the cloudy skies made them seem a bit more gloomy than usual. Overall, we had a lovely weekend and it was a good reminder that we need to make more of an effort to break up our routines and get more fun into life! Clearly we are not amazing picture-takers, as our selfies were all ridiculous looking from our height difference & those pesky power lines!